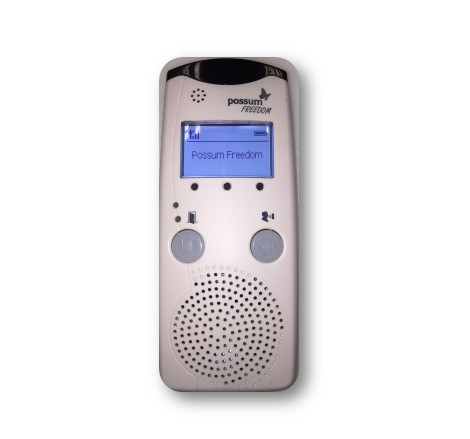 The Freedom+ is a wireless intercom and telephone, with a door lock release system. Can be used as a door entry system as well as a fully functional telephone and an internal paging system. Can be set up as a stand alone system or remotely activated via the Possum range of infra-red controllers. Can announce pre-stored speech messages on activation of the door unit. 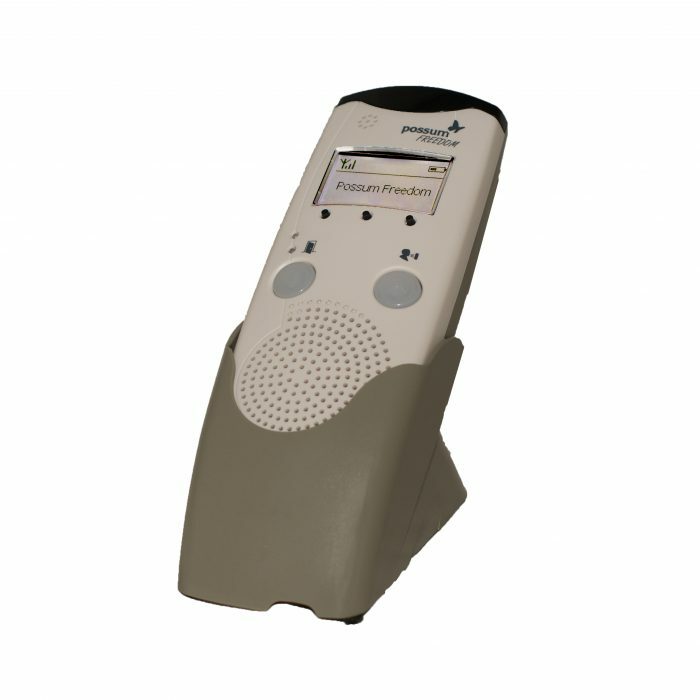 Has a clear backlit display screen to show caller ID for pre-programmed callers. Has an option to add an external microphone in cases where clients have quiet voices. Works with headphones to enable private telephone conversations. Has a battery back up on the whole system in case of power cut. Is wheelchair mountable for portability within the home.